The excitement never ceases for the latest instalment of the James Bond franchise. In the recent days we get to hear it's official title song, Writing's On The Wall, performed by Sam Smith. In a few days we will be seeing the official music video as well, most likely featuring some never-before-seen footage from the movie. For, let us enjoy the final trailer of Spectre, which was released just recently. Spectre is once again directed by Sam Mendes (after the huge success of Skyfall). The is teh fourth outing of Daniel Craig as 007. He will be joined by Ralph Fiennes, Ben Whishaw, Naomie Harris, Rory Kinnear, Christoph Waltz, Léa Seydoux, Monica Bellucci, David Bautista and Andrew Scott. The screenplay was written by John Logan, Neal Purvis and Robert Wade. Check out the final theatrical trailer of Spectre, starring Daniel Craig. 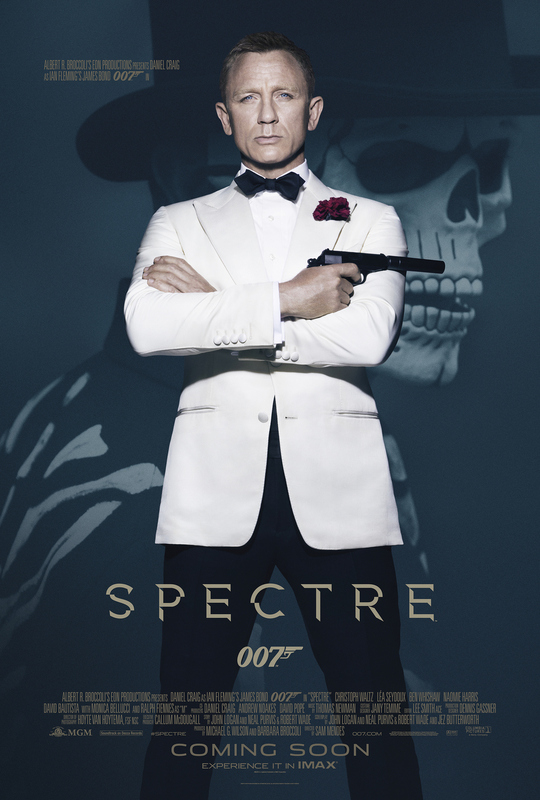 Spectre will hit cinemas on November 6, 2015. Just about a month away!